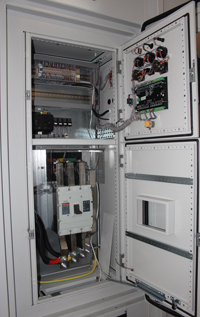 Are you seeking a custom built generators and power modules for your application? 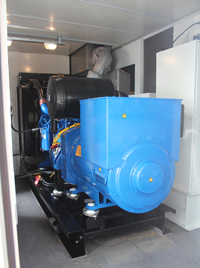 While Triton Power does offer an "off the shelf solution" we also can custom build any generator to suit your requirements. Here at Americas Generators we have over 25 years of experience designing, building, servicing and selling all types and sizes of diesel powered generators. Our generators are currently in use around the world in a variety of unique applications. Thanks to the wealth of knowledge that our team possesses, we are uniquely able to design custom generators for just about any need. Using a wide variety of engines and components, including Cummins, Perkins, John Deere, we can build out nearly anything your application requires. From power for container ships to mobile power for government and defense to mobile medical hospitals and everything in between. Our in-house design and engineering department can start from scratch and build your generator in order to create a completely custom model. Do you need more power, less power, a unique air-flow pattern or a lighter-weight chassis? 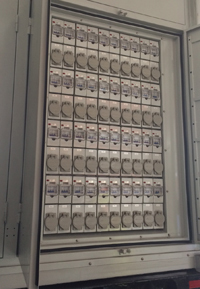 The options are endless, and our goal is to accommodate your needs. We are a leading distributor of Cummins, Perkins and John Deere diesel engines. This allows us to harness robust diesel power from a wide variety of engine sizes, and configure custom diesel generators to an almost-unlimited range of specifications. With an in-house manufacturing center, we can fabricate, weld and build customized solutions that will work with any available engine. We can test, refine and deliver completely custom products that are designed for your specific application. Simply contact us to learn more and discuss your needs. Contact us today to learn about our custom diesel generator design capabilities. We look forward to hearing from you and determining how our team can help.